Uranium spot prices dropped from 39$ to 32$ per pound in a year, seemingly continuing to ignore the fundamental factors influencing supply and demand. The IAEA reports that in 2015 there were 10 reactors launched (8 in China, one in Russia and one in S. Korea) with an aggregate gross capacity of 10.2 GW (see table). Spot prices failed to accommodate the slowdown in production (mines put into maintenance) and the new reactors that started in 2014. However, these factors will soon be hard to ignore: the 2015 data show that uranium production from primary sources fell about 30% short of the current nuclear power plants uranium requirements. The IAEA website states that there are 442 active reactors in the world today, with an aggregate gross capacity of 384.2 GW. According to the 2014 Red Book published by IAEA and OECD, 437 reactors generating some 371.8 GW required 61,600 mt uranium, suggesting that it takes approximately 165/7 mt uranium to generate 1 GW of electricity. Some experts insist that the average consumption is about 156-160 mt of uranium per 1GW (depending on enrichment). Consequently, 442 active reactors annually need around 61.5 tonnes of yellowcake. On average, a reactor needs to be shut down for maintenance and reload every 5 years, taking approximately 60 tonnes of fuel (enriched just above 3%) per one 1GW of power. A fresh load of fuel was also required for the 10 reactors launched in 2015. Approximate estimates show that the full reload of 20% of active reactors would require 38,000 mt of uranium oxide. The 10 new reactors required 610 tons of fuel, or some 5.2 Kt yellowcake. Thus, uranium demand for the active reactors must have increased to 91,2 kt of yellowcake in 2015. While complaining their disappointment over the excess supply, most companies that sell their production under term contracts have in fact increased their output. For instance, Cameco raised production from 23.3 to 28.4 Mlb uranium oxide (from 10,570 to 12,900 tonnes), and Areva, in the first three quarters of 2015 produced 7,560 tonnes as opposed to 5,620 tonnes in 2014. 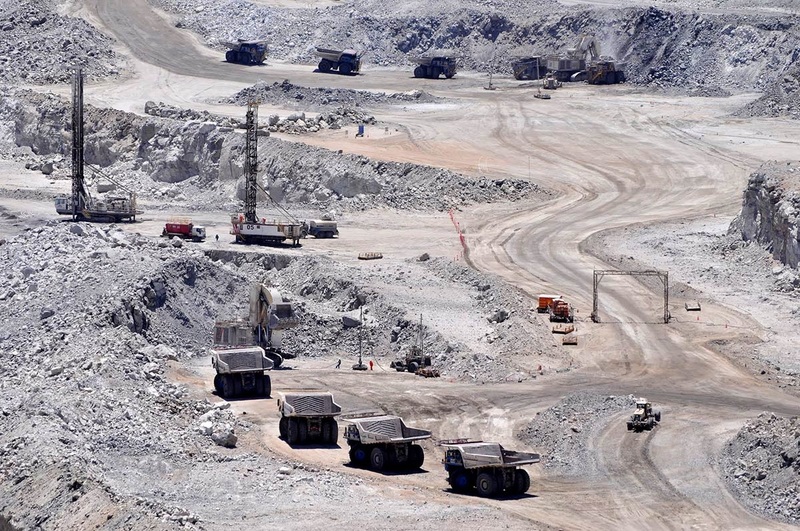 Rio Tinto increased production from 4.1 to 4.9 Mlb in 2015 (from 1,854 to 2,268 tonnes). The spot market operators, on the other hand, decreased production. An exception is Kazatomprom, which while operating on the contract market decreased production by 1.2% to 13,000 tonnes. Even at the current volume Kazatomprom remains the world’s leading producer. Paladin Energy had planned to produce 5.4-5.8 Mlb, later adjusted its production expectations to 5.0-5.2 Mlb uranium oxide, and eventually produced 5.04 Mlb (2,286 tonnes). Comparing the total reactor requirements and production (91,200 vs. almost 60,000 mt) leads to a paradoxical conclusion that the uranium market should be experiencing a sharp deficit of about a third of fuel requirements. Even the secondary source supply does not close the gap: the 2015 U Cost study by UxC estimates it as a “huge factor” at about 40 Mlb or 18,100 tonnes. According to the WNA, a formal supply deficit in the market first appeared back in 2014 with the report of 56,252 mt of uranium mined worldwide (http://www.world-nuclear.org/information-library/facts-and-figures/uranium-production-figures.aspx), while the WNA estimated the reactor requirements at 65,908 mt uranium (http://www.world-nuclear.org/information-library/facts-and-figures/world-nuclear-power-reactors-archive/reactor-archive-january-2015.aspx). The WNA report included Japan, which launched the first reactor since Fukushima (2011) in 2015, but all this time continued to fulfil its previous contractual obligations for uranium purchases. However, even the removal of the Japanese 2,119 tonnes required for her reactors, the production remains below consumption. There is another way to check the figures. We could account for the nine new reactors with a gross capacity of 9,400MW commissioned in 2013 and 2014 and add their requirements to the IAEA figures. The resulting 64,700 mt uranium requirement is still much higher than the stated 2014 production. Another evidence of the incipient (or existing) deficit is that uranium producers supply more than they produce. Cameco reports production of 12,900 mt and sales of 14,700 mt uranium. Paladin Energy produced slightly more than its sales (by 0.33 Mlb, or around 150 mt yellowcake). The sales are growing, too: Areva, in its 2015 report, reports a sales increase of 3.9% over 2014. New supply contracts are being signed as well. For instance, in 2015 India signed deals with Cameco (3.22 Kt yellowcake) and Kazatomprom (5 Kt yellowcake). 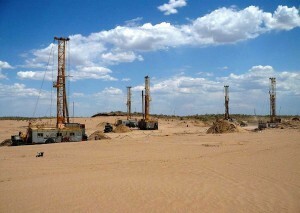 Kazakhstan has also agreed to supply China with uranium. Likewise, Kazatomprom and Centrus Energy Corp have also signed a memorandum of understanding. 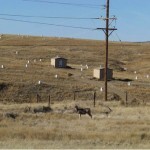 The existing uranium stockpiles also affect the supply side. “I need 100 grams of oatmeal a day, but as I had bought half a tonne two years ago, I’m eating it myself and feed the neighbours, too” – describes the market situation a participant. According to some estimates, the stockpiles stand at approximately 3,000 mt U3O8. Granted, the number of reactors and their reload cycles alone would not be sufficient to generate reliable estimates – one would also need the countries’ uranium export-import data for the last 5 years or so (to make proper adjustments in the post-Fukushima world). Finally, one would also need reliable estimates on the yellowcake and fuel stockpiles held by the reactor operators. Such estimate would be outside the scope of this piece. Whatever the existing stockpiles, the current state of affairs suggests they are on the decrease for both the suppliers and the buyers. (e.g., China, India, USA). Hence, arises thee question: are there new mines being developed that would meet the new demand? Answering this question is a pressing matter: the Chinese reactor fleet build-up program will be completed in a few years, and there are no new projects comparable in scale anywhere else in the world. The Russian and Indian programs are much smaller in size and are more stretched in time while Japan is increasingly disregarded as a significant player. A joint venture of Kazatomprom, Areva and Uranium One has faced similar problems: lack of information and, more importantly, no guarantees of acquiring licenses where the JV had already conducted exploration. 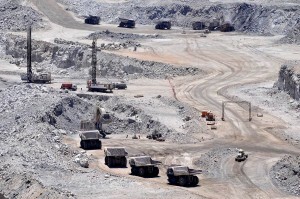 Another good example comes from Rio Tinto – despite having an office in Kazakhstan for nearly15 years, the company has not made a single public announcement concerning uranium projects. Meanwhile, the company, which in the past was engaged in uranium only in Africa and Australia, has now begun developing its Roughrider project in Canada. 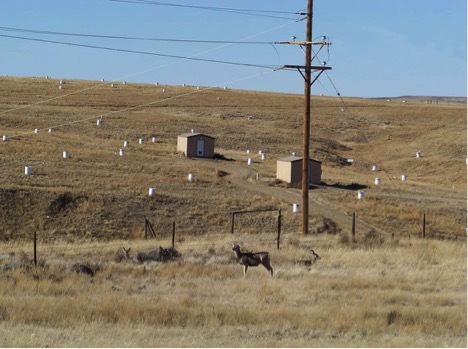 At the end of 2015 “The Group completed an Order of Magnitude study for the Roughrider project in late 2015, which provided an updated view of the development concept and geological model for this uranium project” the company notes in the annual report. Rio Tinto’s example seems to suggest that the companies are seeking not only low production costs but a political certainty, too. 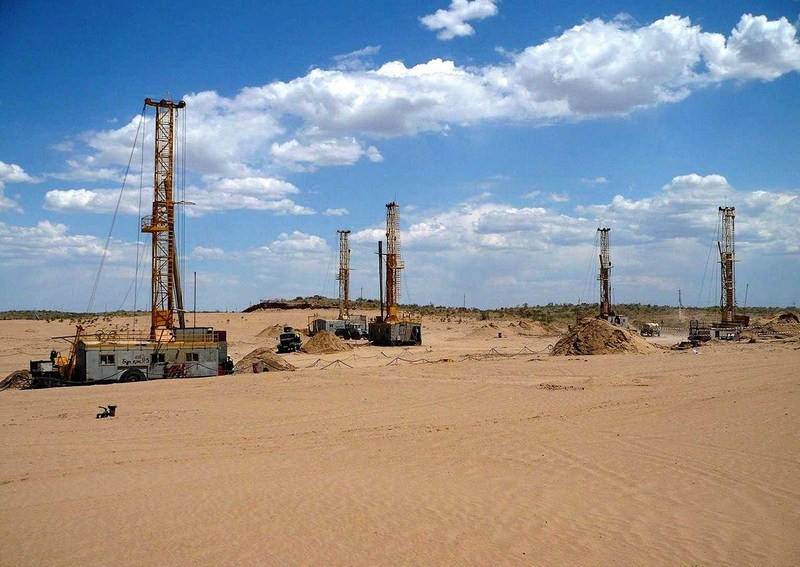 Creation of competitive business environment remains the key priority to ensure further suitable development of the Uranium Mining in Kazakhstan. At the MINEX Central Asia Forum organised on 19-21 April in Astana, national and international uranium mining companies will meet to discuss mutually acceptable conditions, prospects and guarantees for cooperation. The importance of balancing interests of the state and the international partners is becoming an urgent issue on the back on the report presented by Kazatomprom to President Nazarbaev calling for strict measures including possible returning to the state the assets of JVs who do not fulfil their obligations.